Doesn't look like much work done, but trust me it took way way to long to do this. I got the corners wrong and will cut some pieces to fit that area and blend it in, thank goodness that shouldn't be seen. 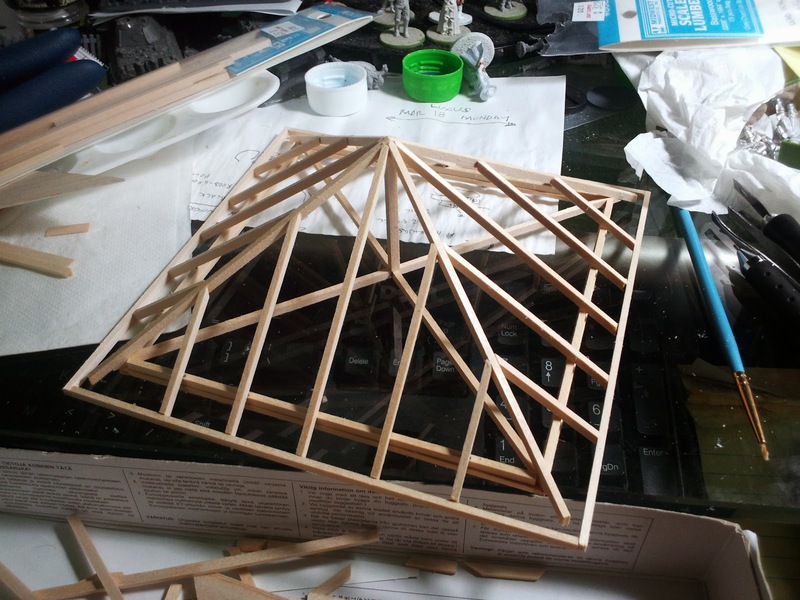 I know I could have just made it a simple roof, but figured I went to far with the detail I might as well not stop there. I will start work on the 2nd floor walls now. The corners are so bad. =( Must fix it later tonight. If you wish to see parts one and two follow the links below. You call that a Block House? M&T army list generator 1.04 status update.